According to Perrier and my Inbox, August is National Peach Month! Yay!! So since we bought some almost-ripe beauties last weekend at the Farmer’s Market up in the Adirondacks that were now ready to go, I wanted to come up with something that would do them — and us — right. Basically I riffed on a crowd-pleasing blueberry yogurt cake I’ve made many, many times. 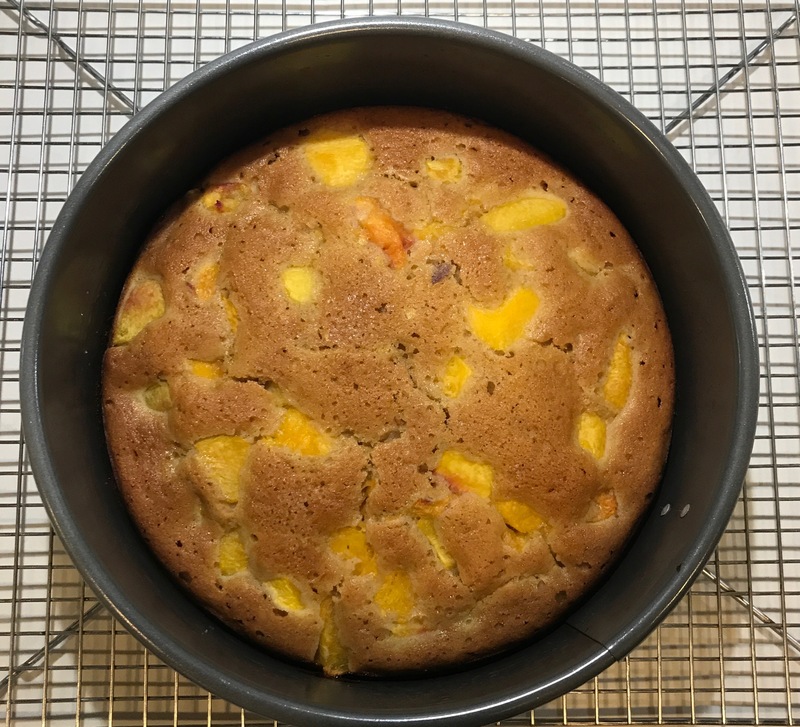 It’s the kind of cake that makes the perfect summer dessert when topped with vanilla ice cream or whipped cream, but it’s also fantastic for breakfast/brunch when it spends a few minutes in the toaster oven and then is finished with some cream cheese. It’s a super simple recipe I hope you’ll give a try.